If you are featuring products of different brands on your store, you might have already developed some strategies to organize them. Naturally, you will be expecting a brand conscious audience who would prefer to navigate your site based on brands. So, one of the first requirements in such a case would be to provide a site navigation option, where users can browse through their favorite brands easily. 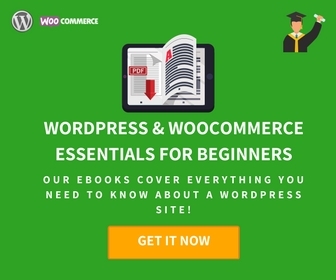 In the WooCommerce ecosystem, you will find multiple plugins that will help you with this particular aspect. In this article, we will take a look at a few of the top WooCommerce Brands Plugins that will help you feature multiple brands. Check out our article on improving navigation on your WooCommerce store. These plugins help you create an organizational structure on your store based on different brands that you are selling. As a result, you will definitely able to provide better user experience to your customers and prospective buyers. You can create multiple brands on your WooCommerce store with the help of this plugin. More importantly, this plugin helps you manage every aspect related to the featured brands. You can create a description along with an image for each of the brands that you create. All the brands can be listed and indexed on a page with the help of A-Z shortcode. The alphabetical sorting makes it easier for users to find what they are looking for more easily. There is also another shortcode, which will help you display brand images as thumbnails. You can create a comprehensive strategy to feature products of multiple brands on your site with the help of this plugin. The plugin also helps in displaying brands on the sidebar with the help of a widget. You can assign brand names to products and use that with the layered navigation widget. That way, your users will be able to get to different products with the help of brand names. Also, you can choose whether to display the description of the brand on the specific product archive page. If you want to import products with brand information with the help of a CSV file, you can use the Product CSV Import Suite plugin. The single site subscription of the plugin is available for purchase at $29. A 5-site subscription you can get at $49, and the 25-site subscription would cost $99. This plugin too helps you list your products on the catalog with an option to filter them based on brands. It provides a comprehensive option to deal with brands as you will get 8 shortcodes and 5 widgets. This plugin helps you create a custom banner for each brands. And, if required, you can link the brand name to its respective official website. It will make brands part of your product taxonomy, and you can easily categorize your products. In addition, this plugin offers an option to display brands names at multiple places on your site based on your preference. And, you can also choose to show a logo along with the brand name, or just the brand name. The plugin offers a lot of display styles for brands with the help of 9 shortcodes and 5 widgets. You can use multiple shortcodes to display brands on product pages. The display styles include thumbnail, carousel, filter, list, grid and more. Similarly, there are 5 widgets to help you display the brands on the sidebar. You can choose A-Z brand listing, a simple list, a corousel, or logo thumbnails. Furthermore, the plugin helps you customize the size and position of the brand logo on your site. It also helps to add the brand name in your product urls. The plugin is compatible with Yoast SEO Plugin, and you can include the brand name in the title tag dynamically. It is also compatible to WPML. For a single site subscription, you need to pay €61. For 6 sites, you need to pay €98, and you can get a subscription for 30 sites at €122. This is another plugin that you can try when you want to feature products of multiple brands on your store. The brands will be visible on your shop, category and individual product pages. This plugin allows you to create custom shortcodes to display brands on the store. You can either use Shortcode builder or Visual Composer extension to create your own shortcodes. It provides 7 shortcodes and 6 widgets to give you ample choice to display products the way you want them to be. You can use A-Z filter or Ajax filter to make it easier for your users to find products of a specific brand. This plugin helps you be in complete control while featuring products from multiple brands on your store. The regular license of this plugin would cost you $26. You can also try some of the free options if you are looking for a basic functionality to include brands. This is a free option that you can try out to display brands on your WooCommerce store. It’s a lightweight plugin that is quite easy to use. You can create brands on your store, add a banner image to each, and assign them to products. It also comes with 4 shortcode options which you can use to display all your brands, or product carousel. 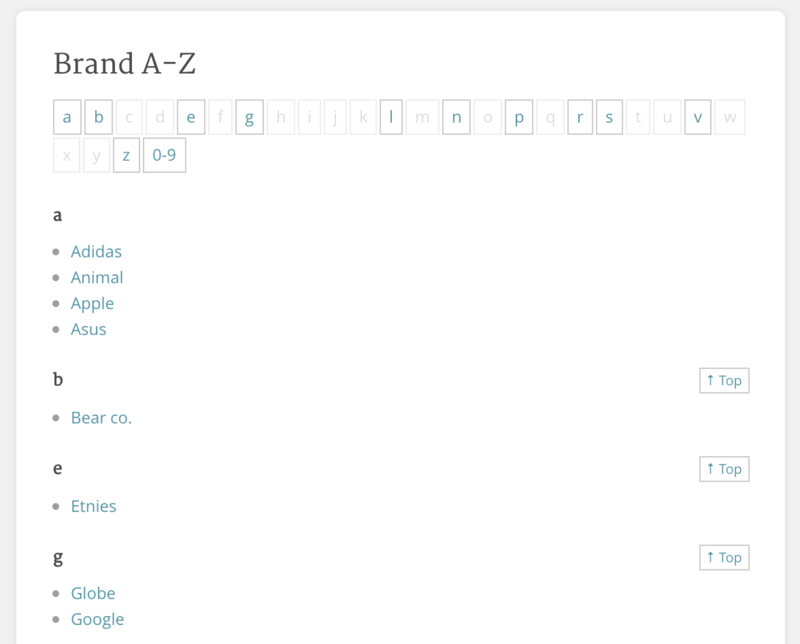 There are also widgets that will help you display brands in a list or dropdown. You can also import brands very easily to your store. It also offers support to default WooCommerce options for product import export. This is a great free option to feature products of multiple products on your store. It will help you with multiple display options as well. You can read more about the default product import options of WooCommerce here. This is another free version you can try though the features are a little limited. You can create brands just like the other plugins we have seen in this article. You can create custom pages and images for brands. With a shortcode, you can display products specific to brands. You can also display a widget with a link to the brand pages on the sidebar as well. The plugin has a premium version with additional features. You can use this free plugin to display products associated to brands. This plugin helps you list products on your WooCommerce store in an interactive table. When you combine WooCommerce Brands plugins with this one, your customers will be able to see brand information too on the product table layout. The advantage of this plugin is that you can customize the columns you want to display to your customers. While configuring the plugin, you can simply add tax:product_brands to the list of columns, and you will have the brand information in the table. Similarly, you can add brands to your list of filters as well. 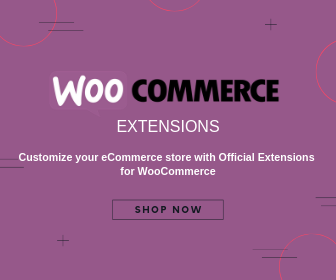 Remember, you need to use both WooCommerce Brands and WooCommerce Product Table plugins together to get this done. 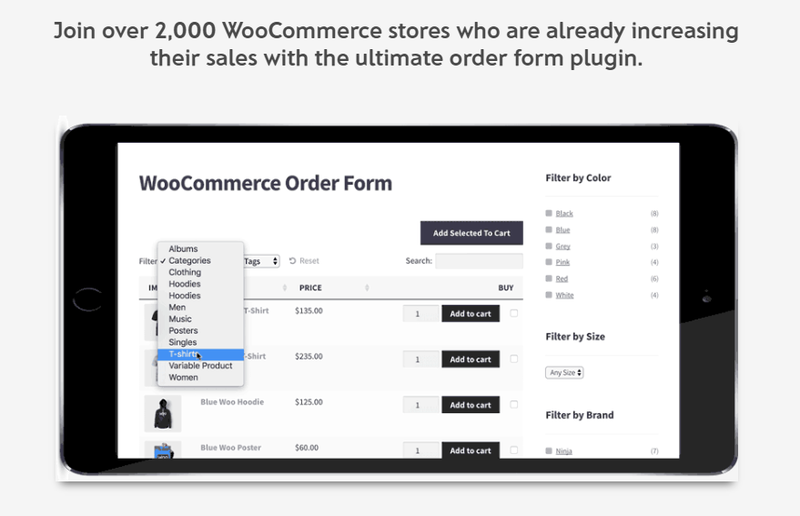 This plugin helps you display WooCommerce products in a table so that customers can easily make their choices. WooCommerce Product Table plugin is fully compatible to Product add-on plugins as well. So if you want to display additional product options on your product pages, you can easily manage that. The single site license of the plugin is available for £99. Checkout our article that details WooCommerce plugins for extra product options. You can greatly improve the chances of conversion on your WooCommerce store if you offer search previews. Basically, with the help of this plugin, you can present product previews on the search field including images. 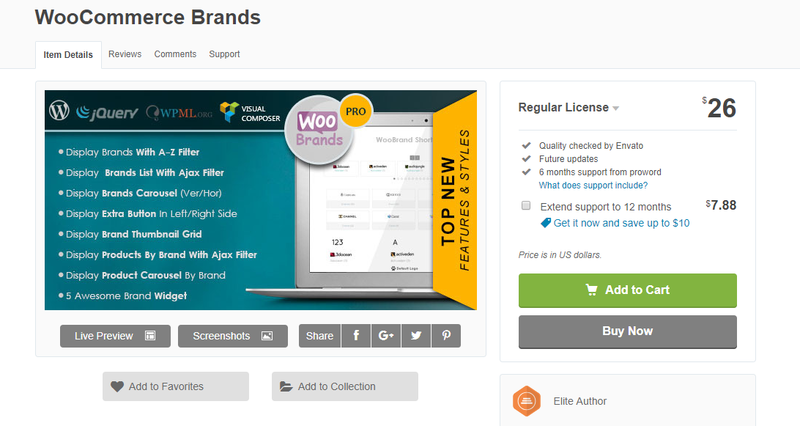 If you use YITH WooCommerce Brand Add-ons with this plugin, you can display brands also on the preview. This will be a real booster to your efforts to optimize conversion. 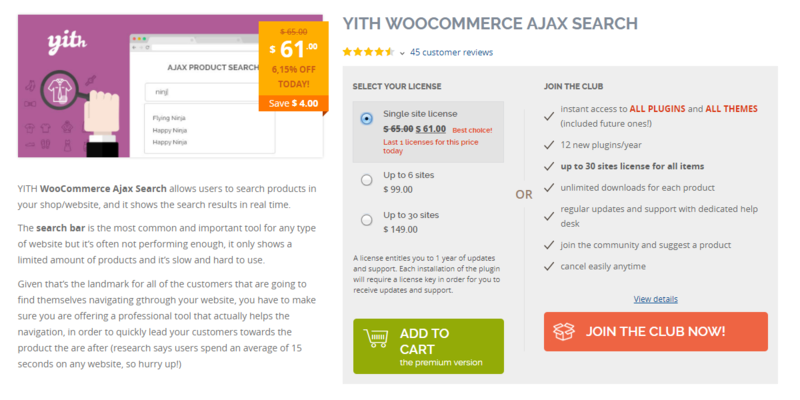 Improve site navigation with YITH Ajax search plugin for better conversions. 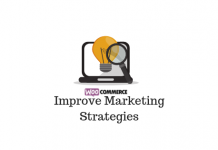 You can checkout some conversion optimization strategies for WooCommerce here. Branding helps to create a sort of emotional attachment in the minds of your customers. Popular brands have invested in great amounts to create a loyal set of customers. When you feature these products on your online store, you are actually able to gain some of the goodwill that is created by these brands. Let’s take a quick look at some of the advantages you can gain by featuring branded products on your WooCommerce store. Big brands are all about loyal customer. Customers who religiously follows a brand have actually made them big. So, in effect, you will be able to tap into that market that already exists. However, you might need to devise innovative marketing strategies to reach out to the right audience. And a very important factor to build customer loyalty will be to ensure that you are always selling authentic products of big brands. If by chance a counterfeit product finds a place in your inventory, it can totally derail your brands retail strategy. Loyal customers will surely come back if you are ensuring a customer experience for them. Established brands are preferred by customers due to their superior quality products. So, if you are selling these products on your store, the resulting customer satisfaction will be really good. And, if you get the fulfillment process right, you too will get a piece of the cake. In fact, if you strategically place some discounts, you can really establish a reputation in the mind of brand loyalists. This will help you establish your strong as a strong player, without investing a lot on the marketing budget. There are also more chances for your store to appear in searches specific to a particular brand. As we have discussed above, you can include the brand name in your product titles and urls. This way you will find more options to be featured in search results of queries looking for specific brands. How to start selling branded products on your store? You need to comply to certain regulations to be able to sell products of big brands. The regulations will be different based on the location of your store, and you need to consider the applicable rules before featuring brands on your store. When you are trying to sell brands through your store, most likely you will need to get a retail license. You can probably start out with smaller brands, and create a name of your own. Once your business flourishes, even bigger companies will offer you a chance to feature their products. Featuring branded products on your WooCommerce store is a great way to attract loyal customers of brands. If you are able to feature products of the top brands in your niche on your store, it improves chances of business success manifolds. And, when you have branded products on your store, you need to display them in a way to help customers find them. This article has provided an overview of a few useful WooCommerce Brands plugins that will help you display them effectively. 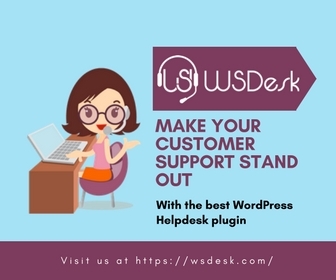 Most of these plugins offer multiple options to display brands and associated products for a great customer experience. Share with us if you have an insight on the matter.